The once proud nation of Liberatia has been taken over by three evil overlords! You must undercut the political power of the overlords, and win over the people to your side! Only when the overlords have run out of political power, can you hope to defeat them! 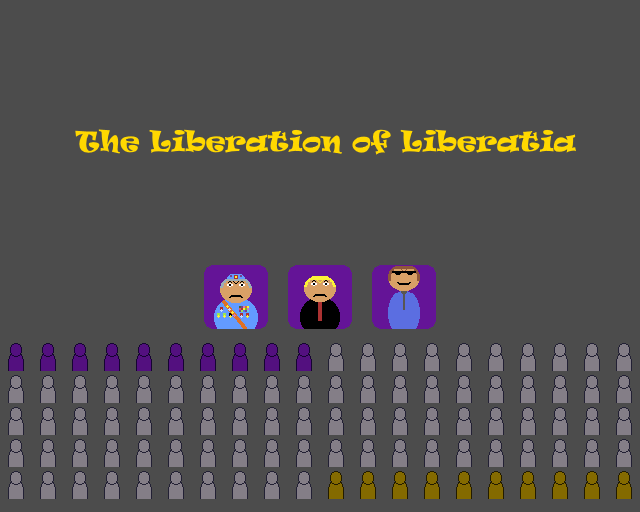 "The Liberation of Liberatia" is a turn-based strategy game. It was made in Java, using the LibGDX framework. The game was made in accordance with all the 48hr Compo-restrictions except for spending 24 hours extra on polishing the game.